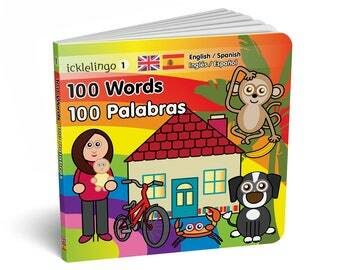 Announcement Brightly coloured bilingual books, birthday cards, alphabet posters, wall prints and gifts. Everything you see here is designed, illustrated and artworked by me. Brightly coloured bilingual books, birthday cards, alphabet posters, wall prints and gifts. Hi Sophia, I'm sorry your book didn't arrive in the condition you would expect. Please be assured that all my products are checked before despatch and leave the UK in perfect condition and I'm afraid I can't be responsible for the handling of products once they are despatched. I hope you are otherwise happy with the book itself and the content is what you hoped for and hope to see you again as a valued customer. My (then) 2 year old, engrossed in Greek! Instant downloads. From flashcards to posters. I'm a Greek speaking graphic designer – I was taught both Greek and English simultaneously by my parents from birth. Whilst expecting my first child, I was frustrated by the seemingly lack of simple dual language books for young children… so I made some myself! I designed and illustrated everything you see here in the hope that children enjoy my work as well as learn new things in the process! A graphic designer by trade, I have now branched out to children's products. 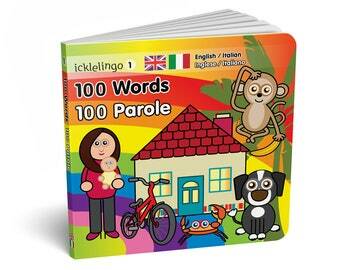 I designed and illustrated everything you see here in the hope that children enjoy my work as well as learn new words! 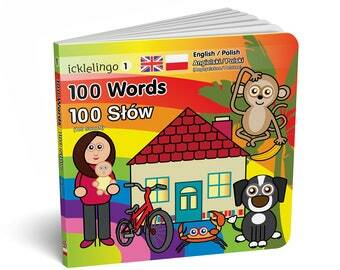 Welcome to Icklelingo. 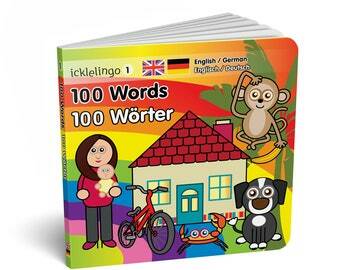 I want your children to learn another language! In my shop you'll find a variety of learning aides to assist you. The range is growing so check in regularly!